Before one can enter the Grand Palace, everyone especially the ladies/girls must be properly dressed- no showing of skin. No sleeveless tops, shorts, and short skirts. The guards and tourist staff will not allow you entry to the inner court/complex if you are not properly dressed. But the tourist office lends out some sarongs for the ladies to borrow or you can just buy from the numerous sellers outside the complex. So now you're inside the complex and is properly dressed. 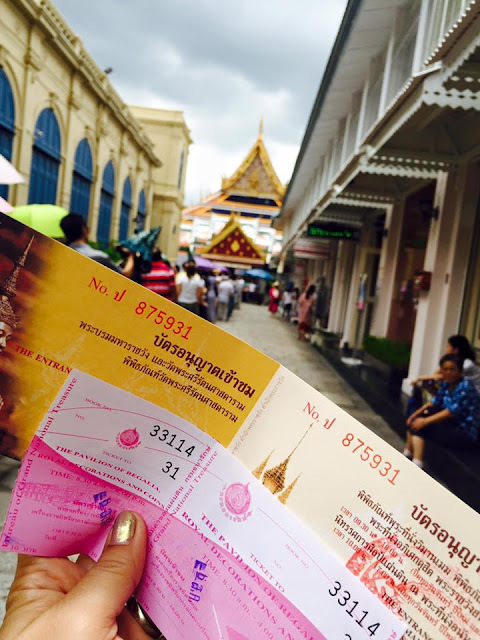 The next step would be to get your Day Pass at the ticket office (located before the Grand Palace entrance). It costs THB500 which is valid for 1 day only so its best to visit the Grand Palace early in the morning since its only open from 830am - 330pm. N.B. : The forex window near the ticket office offers a better rate for your USD$ as compared to the other money changers in Bangkok. There's also some souvenir shops that sells reasonably priced postcards and other collectible. And you can also mail your postcard in post office inside the palace complex. 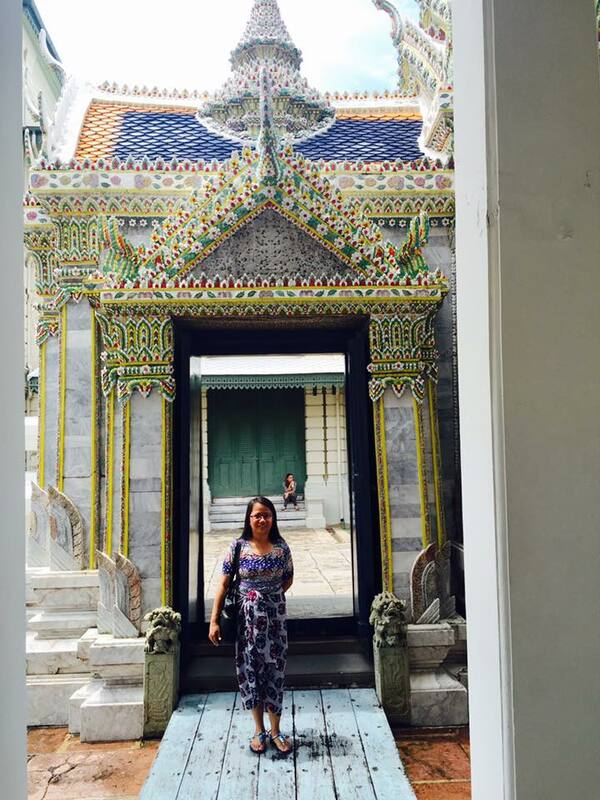 There's always a long queue going inside the Grand Palace complex so be prepared to fall in line. Also, there's a separate line for locals and foreign visitors so make sure that you are in the right lane. This is one of the numerous halls inside the complex although one cannot go inside. But the details on the walls and the structure itself is a sight to behold. This is also one of the popular "photo" spots for the tourists. Also, taking pictures inside the temples or halls is strictly not allowed so please follow the rules. Footwear are not allowed inside the halls or temples. You can leave it outside (there are shoe racks) or you can hold it or place it inside your bag. These Buddhist devotees are chanting outside one of the temples just near the entrance. You can watch them chant here - chanting prayers. 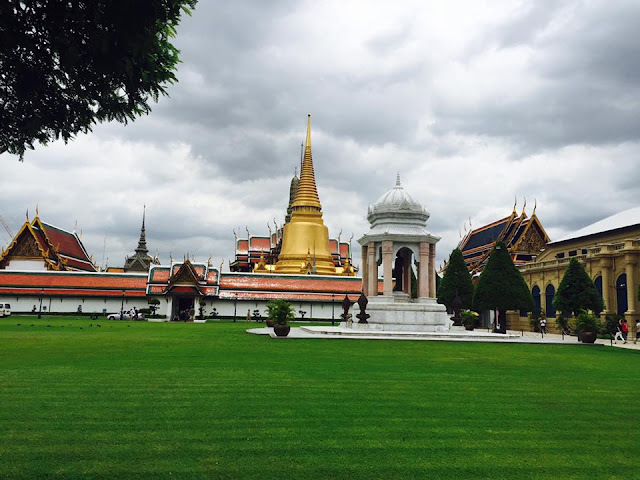 The Phra Maha Monthien is a series of palaces and halls. This is not open to the public and within the Phra Maha Monthien group is the Chakraphat Phiman Hall which was primary residence of former Kings of the Chakri dynasty. The Phra Thinang Chakri Maha Prasat has an unusual facade that is a perfect blend of Thai and European architecture that makes it unique. Visitors are not allowed inside although one can imagine the grandeur inside its halls. This is still part of the Phra Maha Prasat group of palaces. This is the Dusit Maha Prasat Hall. This is open to the public although I wasn't able to go inside. Right after the Phra Maha Prasat complex, and almost near the exit point of the Grand Palace is the Temple of the Emerald Buddha Museum. One cannot take photos inside the museum and one is required to remove his/her footwear upon entering the second floor of the museum. 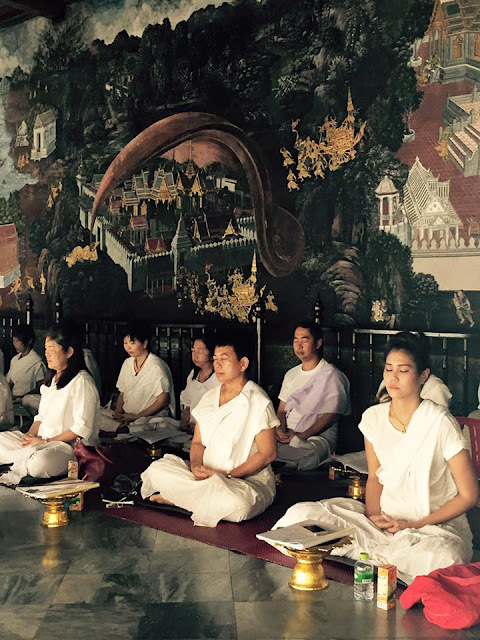 Inside are old Buddha statues, relics, old palanquins, ivory, etc. This is the Phra Tinang Boromphiman or the Borom Phiman Hall. This is the private guest house for visiting Heads of State (source:https://en.wikipedia.org/wiki/Grand_Palace). This can be seen near the ticket office. It has Neo-Renaissance architecture. Ang ganda ng mga temple. Magnificent indeed. I would love to visit this place when traveling to Thailand in the future. I love visiting heritage sites when I travel. It's so great being able to immerse yourself in the culture of the place and really learn about its history through these interesting sites. SO lucky you got to go there! The place looks so great. I love the designs.Your so lucky and blessed to see that place. our post makes me want to go Bangkok right now! I've never been to Thailand! I should try to go one of these days because my mom grew up there. Super ganda! We are planning to go there for our honeymoon, your post makes me want to go there now! My parents just came from Bangkok last month.. Gusto rin namin pumunta dun, in God's time :) the place looks very nice.. So beautiful and enchanting! I've always wanted to visit Bangkok!